Autumn is nature’s planting time as the ground is still warm and the first of the rain helps new plants, trees and lawns get established. All of your favourite spring flowering bulbs are now in store. Anemones and ranunculus are great value and easy to grow. With very little effort they can reward you with up to 6 months flowering by stagger planting. In warmer areas, some bulbs need a ‘chilling period’ of at least six weeks, which provides close to a natural dormant climate and improves growth. Place your bulbs in a paper bag and chill in the fridge. Bring to room temperature before planting. Daffodils can be planted any time from late February to the end of May. Early planting gets them off to a great start as they will begin to develop their roots and settle in for spring growth. 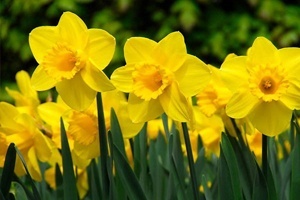 Daffodils need full sun and well drained soil. Slugs and snails are the main pest of bulbs, especially when the leaves are just emerging from the ground. Use Quash slug and snail pellets to control this problem. Hyacinths are the essence of spring. The heavily scented trusses are a most welcome sight after a long winter. Best planted in March/April in a cool spot. Prepare winter flower beds for planting with Garden X Compost, Palmers Sheep Pellets and Palmers General Garden Fertiliser. Plant your favourite winter flower seedlings like pansy, viola, primula, polyanthus, calendula, cineraria, lobelia, poppies, alyssum, stock and snapdragon. Prepare the soil for your winter edible patch with Garden X Compost, Palmers Sheep Pellets and Palmers General Garden Fertiliser. Grow a smoothie garden in pots on your deck – plant kale, spinach, pak choi and beetroot for green energy! Giving your vege patch a rest over winter? Add nutrients back into the soil by sowing a crop of blue lupin or mustard seed which adds nitrogen and improves soil structure. Plant seedlings of cabbage, beetroot, winter lettuce, brussel sprouts, spinach, carrots, leeks, silverbeet and winter herbs. Pull out any summer herbs and vegetables that have finished producing and add to your compost bin. Herbs to plant in autumn: parsley, chives, rosemary and mint. Citrus are heavy feeders. 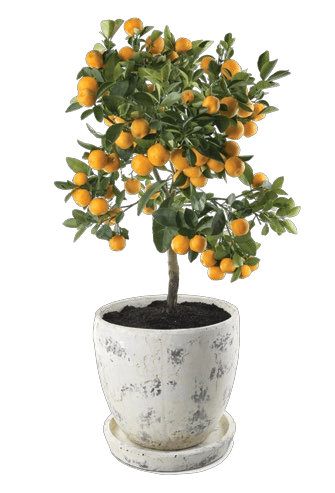 Feed with Palmers Citrus fertiliser for healthy green leaves and better growth, flowers and fruits. Protect new plantings against slugs and snails with Quash Snail and Slug pellets and give them a good start by watering them in and liquid feeding with Tui Organic Seaweed Plant tonic. Cooler temperatures are the ideal time to plant a hedge. If you want flowers and fragrance, plant Fairy Magnolia Michelia’s or for something hardier, try the Aussie Westringia varieties. Autumn is the ideal time to sow or repair your lawn so it can establish over the winter months. Apply a layer of Tui Lawn Force Fertiliser to encourage healthy growth and to help sustain everyday wear and tear.